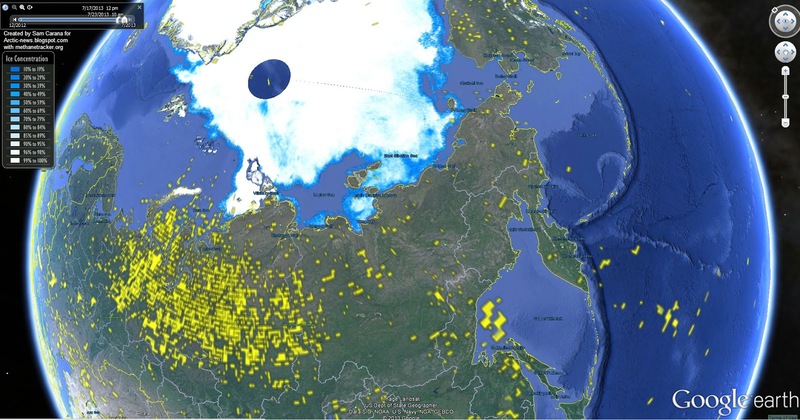 The image below, from methanetracker.org, shows methane levels at 1950 and higher in yellow, for the period of July 17 to July 23, 2013. The temperature map below, for July 26, 2013, from Wunderground, shows that high temperatures are still prominent in Russia, at much the same location where most of the methane in above image shows up. 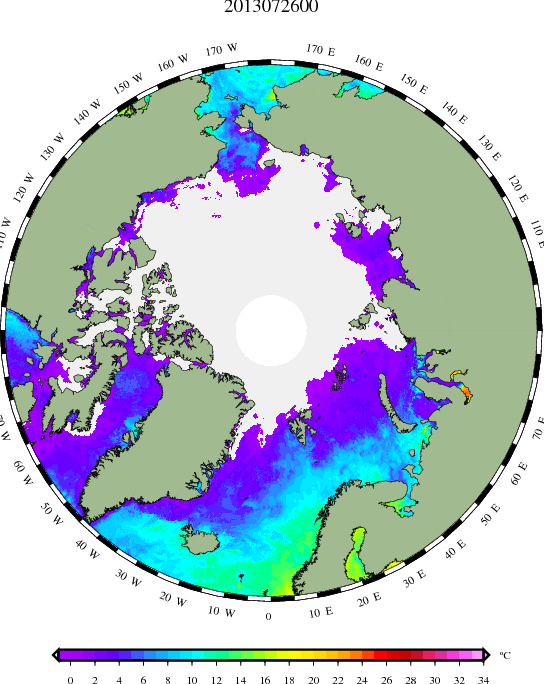 High temperatures warm up the water flowing into the Kara Sea, as shown on the image below for July 26, 2013, from the Danish Meteorological Institute.